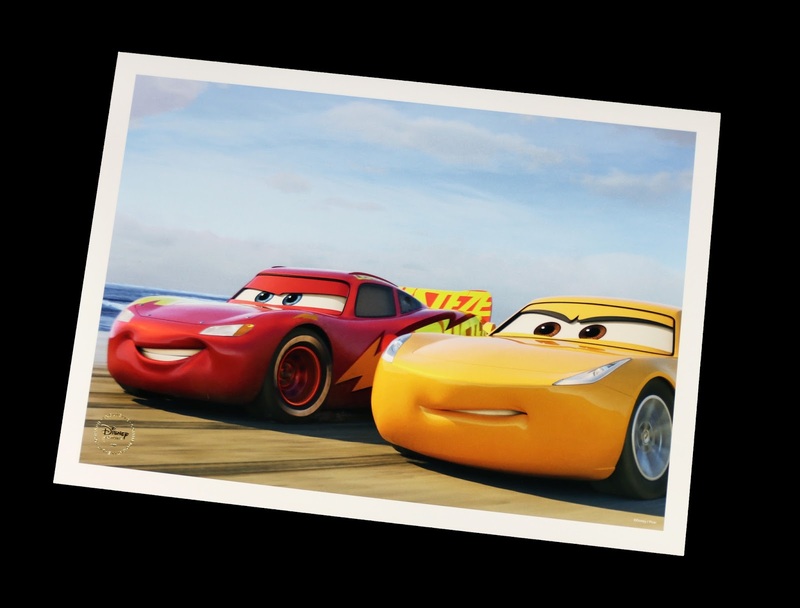 As I announced last week, the Cars 3 Blu-Ray/DVD/Digital combo pack (set to be release on November 7th) is now available to pre-order at the Disney Store! Like usual, when you reserve your copy there (either in store or online), you get this fantastic FREE lithograph set of four prints (in a snazzy collectible folder) AND a $10 off $40 or more coupon valid the week of release. Who's pumped to take this amazing film home? I don't always love the screen caps used for these Disney Store lithos, but I actually really dig these ones! 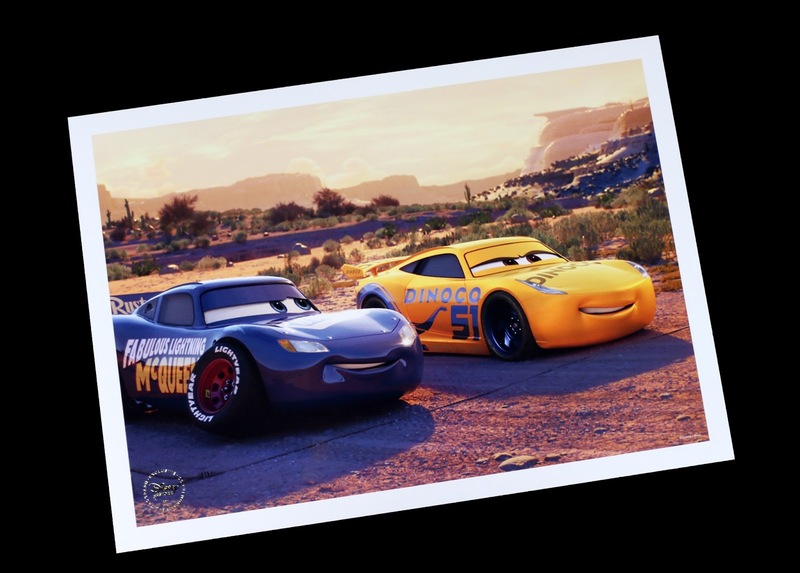 My favorites have to be the Miss Fritter print and, of course, the one featuring Fabulous Lightning McQueen. 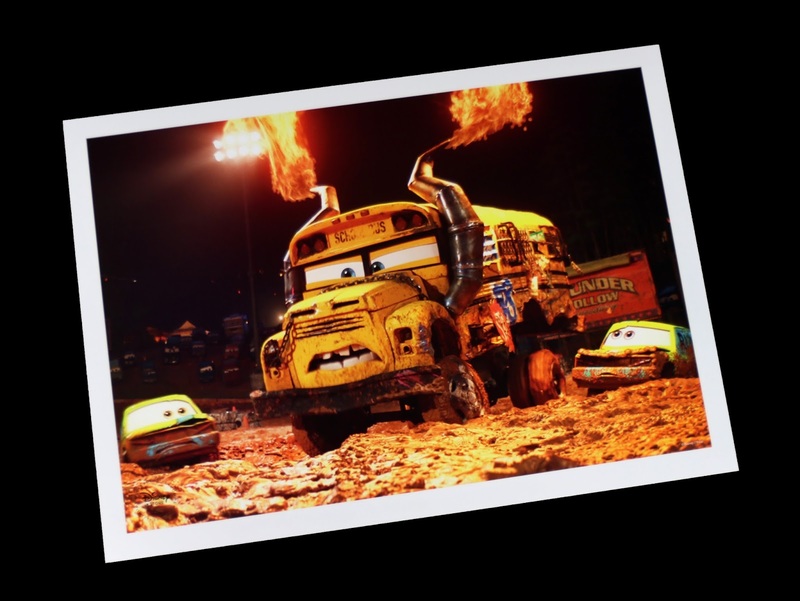 I'm excited to see some of my favorite moments from the film represented here. Check them all out below! Each print is a standard size of 10"x14" (so it should be pretty easy to find basic frames for them) and is stamped with the official gold Disney Store seal for authenticity. 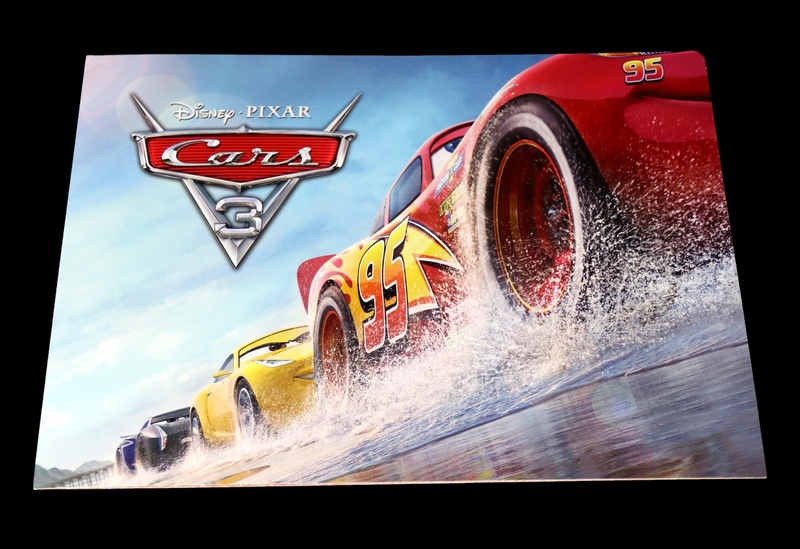 The lithograph set is only while supplies last, so be sure to head to your local Disney Store (or visit their website HERE) soon to pre-order your copy of Cars 3 today! 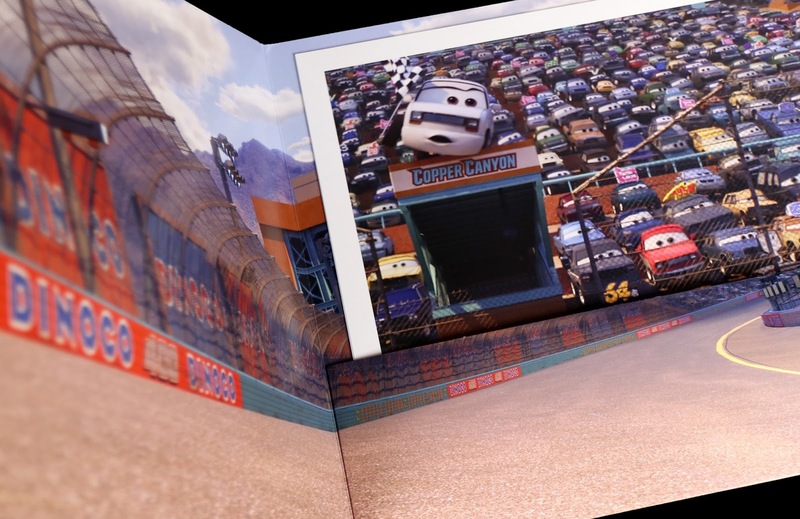 It's a really great set— Highly recommended for any fan of the film. What are your thoughts? 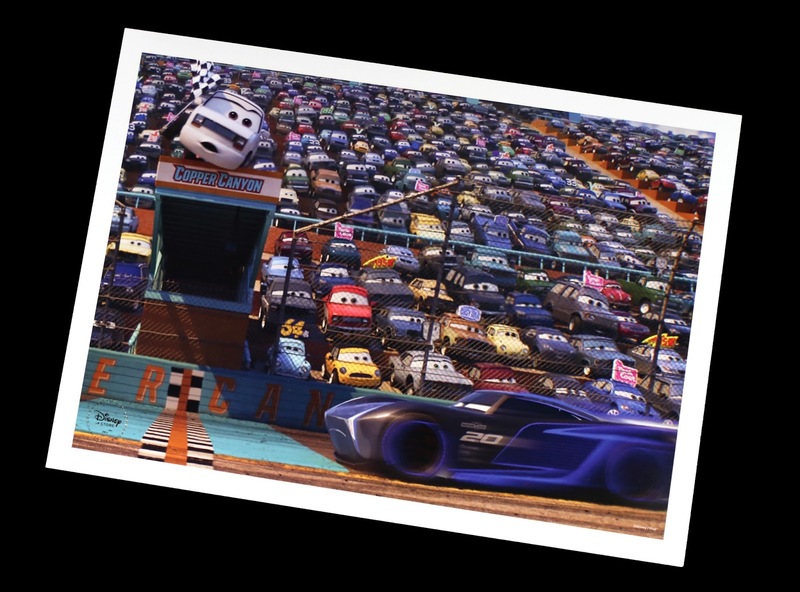 Final note: For the full gamut of Cars 3 home video releases coming this fall and official list of bonus content, check out my recent post HERE.